School G Suite accounts are closed when students are no longer enrolled. 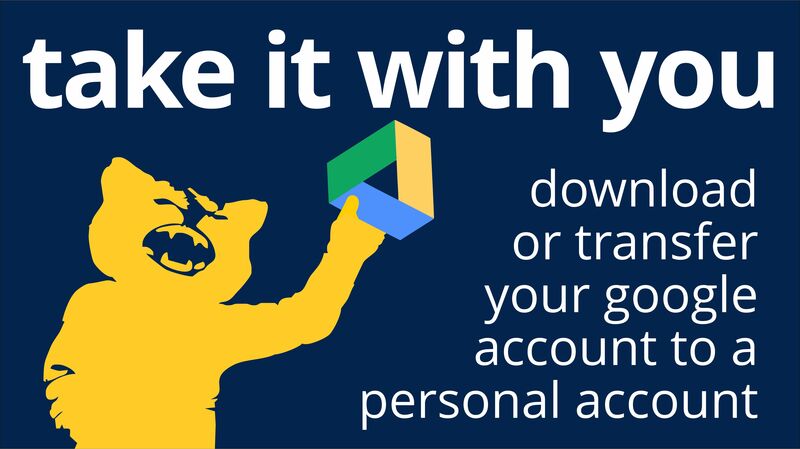 This means that when you who transfer or graduate you will no longer have access to your files and resources in G Suite unless you take them with you. You should either “Transfer content” or “Download data” before leaving. Click here to learn how to capture and keep your stuff.